The data center as we know it is gradually being replaced by software. 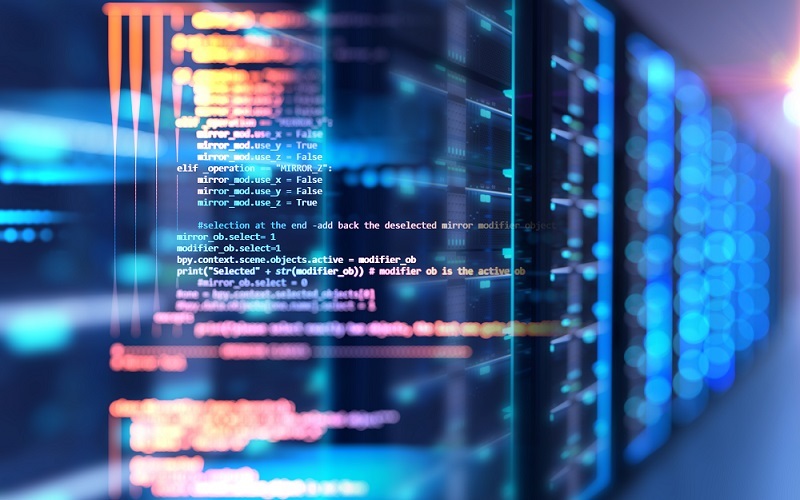 The evolution toward the software-defined data center, also called “infrastructure-as-code,” brings significant benefits as well as some challenges, according to David Hines, vice president of architecture and engineering at TierPoint. Hines recently gave a webcast on The Software-Defined Data Center: A Foundation for Digital Transformation in which he discussed the benefits of the SDDC concept and what IT departments should do to prepare for this transition. Agility. Hardware can’t easily be changed. Infrastructure services such as virtual machines and storage can be created or deleted on demand, giving the organization the agility to react quickly to changing business needs. Code reuse will further increase this agility. Speed. The speed with which code-based infrastructure can be created and deployed makes it highly efficient. IT engineers waste less time purchasing and installing hardware, and business employees who need extra capacity for their jobs can be more productive sooner. Security. Software-based infrastructure offers greater control over security systems as well as the ability to adjust systems on the fly. However, to achieve those benefits, developers must do rigorous testing of code. Small errors that work their way into infrastructure can create widespread problems. But to reap the benefits of infrastructure services, IT departments have to follow a few guidelines, said Hines. Be willing to change processes. Software development is very different from hardware purchasing, installation and maintenance. As more aspects of the data center becomes software-based, IT managers will need to rethink their teams’ work processes. For example, Hines described how one IT department that migrated to a software-based infrastructure had to change how it processed change requests. Initially, requests for additional capacity were casually communicated, through email, text, ticket requests and personal conversations. However, as infrastructure became code-based, and thus easier to accomplish, end user requests multiplied. Eventually, the department had to change its workflow to follow software development practices, which meant funneling user requests through a merit-based, priority ranking system. Communication, with line-of-business managers and end users will be critical to managing their expectations. “Make sure you’re communicating how this change will occur, that it will take time and that, while it will produce greater agility in the long term, individual requests may not be fixed today. Find a good services partner. The cloud services partner that supports a company’s transformation to a software defined data center should be focused on helping your department to be successful. That includes being willing to engage in ongoing dialogue on digital transformation, show a willingness to say “no” when necessary and provide alternative solutions, and have connections to other good partners. Think strategically, not just tactically. Remember that this is a long-term business transformation, not a time-limited project for one department. “We need to move beyond digital transformation as a thing and start talking about the business outcomes that digital transformation brings, and the opportunity it unlocks,” said Hines. 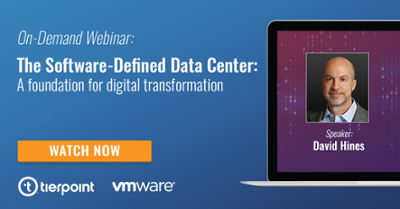 Learn more about infrastructure services and watch The Software-Defined Data Center: A Foundation for Digital Transformation, then learn how TierPoint can facilitate your IT transformation.